Some of the most common complaints I hear are – my Rhodes feels mushy to play, the action feels spongy, I have to work really hard to get any dynamic range, a lot of the notes have different tambours, or there is no sustain in the upper notes. You may think you have to settle and resolve yourself to the short comings of a vintage instrument but you don’t. It doesn’t have to be like that! A lot can be done to tame that beast. Think about picking up a 30 or 40 year old guitar that has been gig’ed with and stored down in the basement. Do you expect it to play and sound very good? Of course not. Same goes for your Rhodes. They go out of regulation and need to be tweaked. What does that mean for you? It means your Rhodes is going to feel like it never has before. 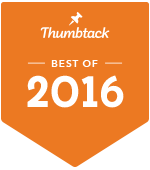 It is not enough to simply get your Rhodes up to spec. There is a lot of customization that can be done. I listen very closely to what you are hoping to get out of your Rhodes. Some people like a bright growl, others like a rounded bell tone. Some like a heavy action, others light, etc. 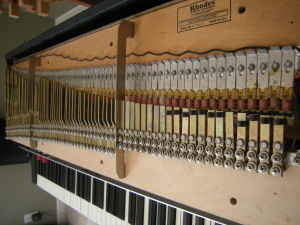 Furthermore, each vintage of Rhodes has its own character which can be tweaked and exploited. 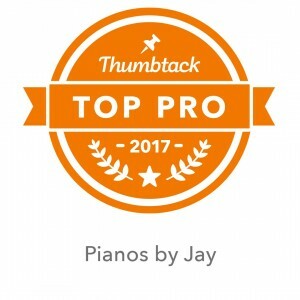 When you use Pianos by Jay you get a professional certified piano technician who will get your Rhodes ready for any studio or live situation. Call or Email for more info. Ah Oh . . . Yet another restringing job . . .
New life for an old piano . . .
Not really the “great deal” you thought it was . . .